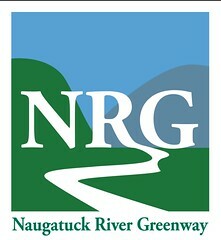 The Naugatuck River Greenway Steering Committee (NRGSC) consists of representatives from all 11 municipalities along the NRG corridor along with regional, state and federal representatives and other stakeholders serving to promote, support and help guide the development of the NRG. We recognize the greenway as not only a recreational facility, but a means for alternative transportation, a way for residents and visitors to connect to the revitalized Naugatuck River, and ultimately, as a driver of local economies. The NRGSC meets quarterly, and meetings are open to the public. If you are interested in advancing efforts to complete the NRG, please join us! The Naugatuck River from Torrington to Derby is rich with history, stunning scenery and wildlife. Just as the river built and shaped our towns and cities, the Naugatuck River Greenway will be a driving force for the next century and beyond. Our mission is to harness the vitality and protect the health of the river for economic development and quality of life for all.